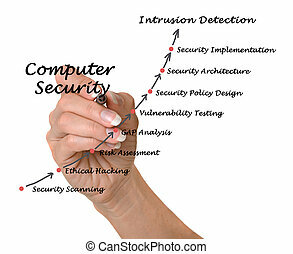 Computer security. 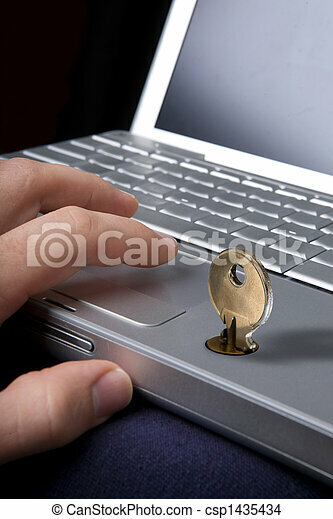 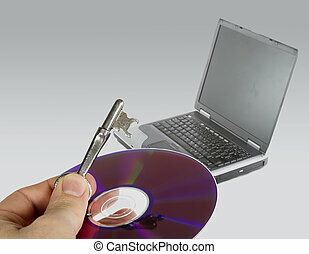 A key locking a laptop computer. 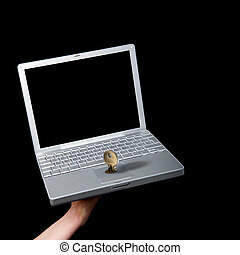 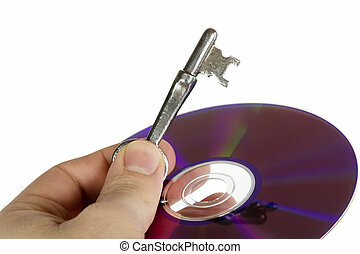 A hand holding a cd and skeleton key, with a laptop computer in the background. 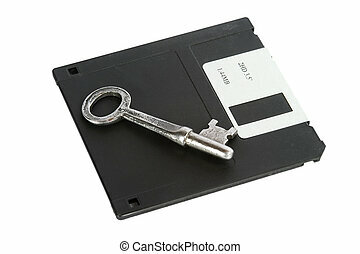 A skeleton key and a 3 1/2\" computer disk, isolated on white with clipping path. 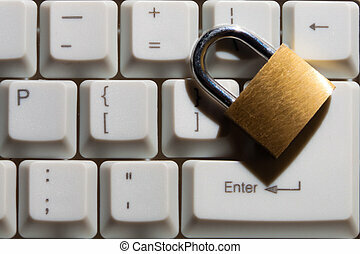 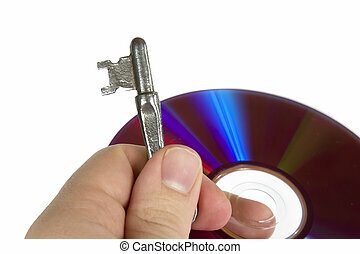 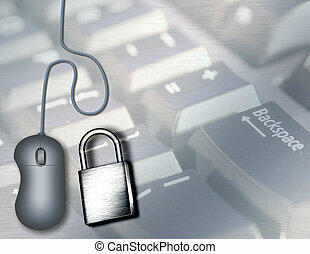 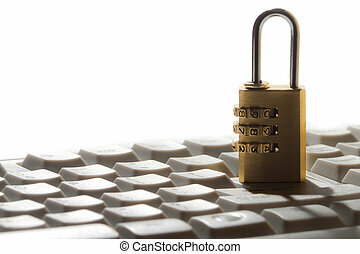 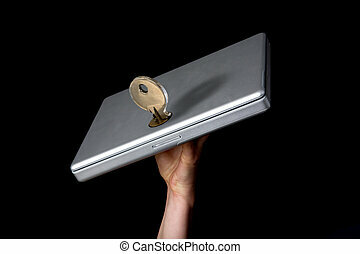 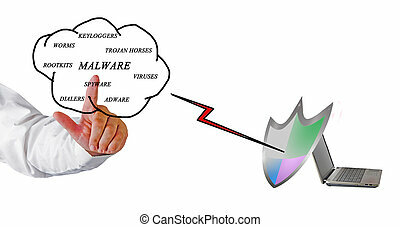 A skeleton key and a computer disk being held by a males hand, isolated on white with clipping path. 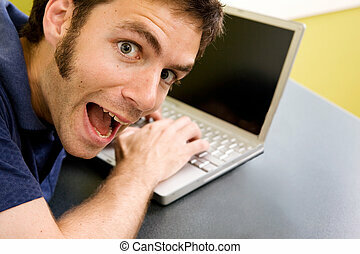 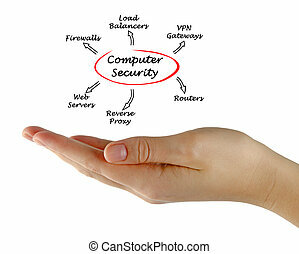 An open hand coming through a computer screen. 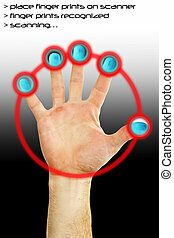 Fingers being scanned for their fingerprints. 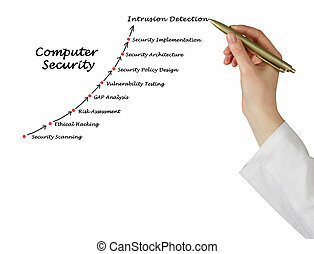 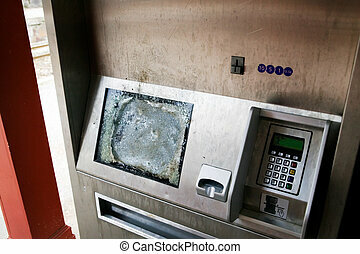 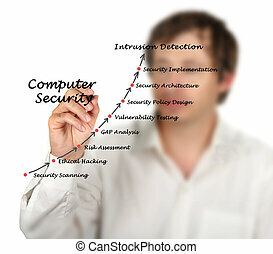 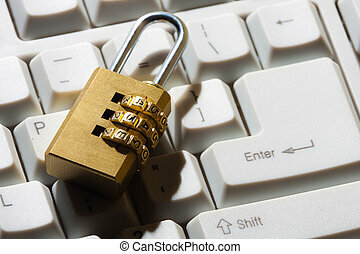 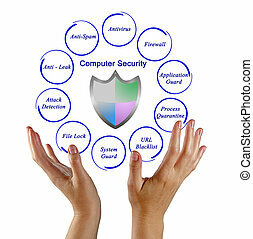 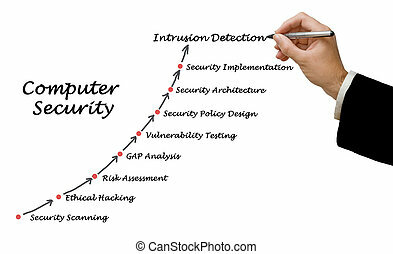 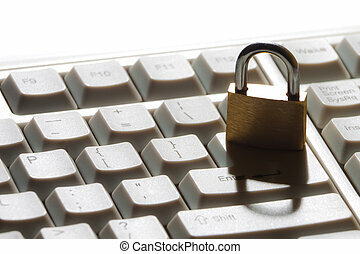 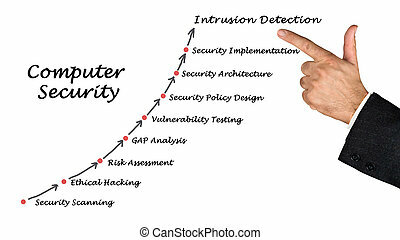 Security concept image. 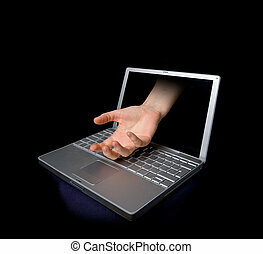 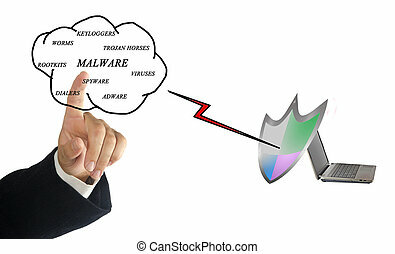 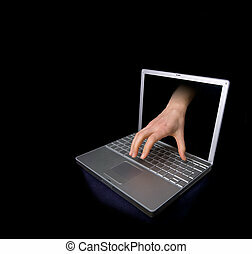 A hacker concept image of a hand coming through the computer. 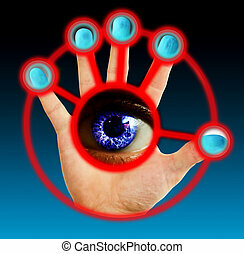 Fingers being scanned for their fingerprints and eye scan. 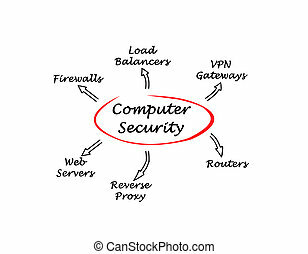 Security concept image.